In November 2015, Oxford University’s publisher selected “Face with Tears of Joy” as the word of the year. It’s not a word in the traditional sense, but a face-shaped emoji who expresses a smiling situation that makes people shed tears. 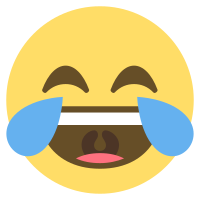 It is often used instead of LOL (Laughing Out Loud), which means a big smile. Oxford University publishers select the word of the year that reflects the social and cultural trend of the year. From a few years ago, they have chosen the word, not the text but the emoji, to reflect the prevalence of the use of emoticons. This result reflects changes in online communication that communicate with emoji rather than text. Emoticons sometimes become a more effective means of communication than text, beyond supporting means of communication in mobile and online. The market also grows every year. The number of Kakao emoticons, which was six in November 2011, increased more than 1,000 times to 6,500 during last 7 years. There are a total of 50 emoticons that have accumulated more than $8.4 million (1 billion KRW). TOOKTOOK is a project that supports such trend of expressing emotions online. “It is the purpose of TOOKOOK to make content that expresses one’s feelings easily and share it with everyone,” said CEO Kim Hyung Woo. “Since the first generation of expressing images such as expressing laughter by using the codes, we have moved to the second generation where emoticons move or use short videos,” he said. “The evolution of expression style reflects users’ desire to express their emotions more accurately online.” “The current market for emoticons is where consumers use the same emoticons that have already been provided by central, so each individual has limitations to express his or her own emotion.” he said. 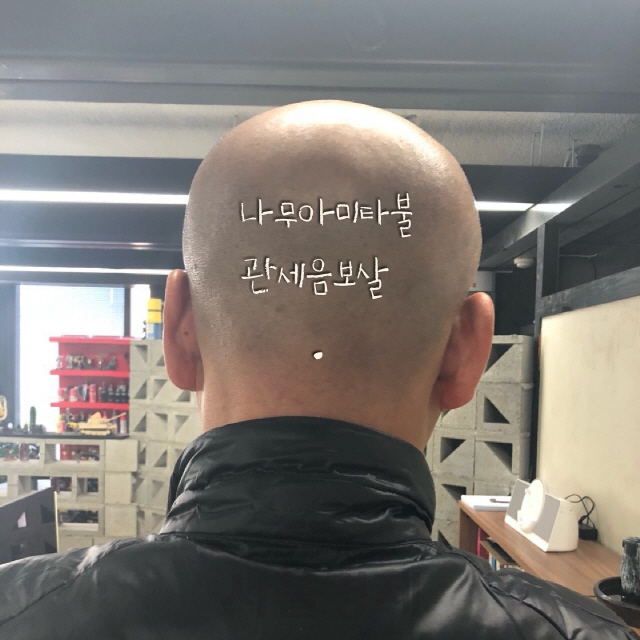 “Our project came out of this simple question; ‘How about making your own emoticons with photos or videos taken from your daily life?’ he added. TOOKTOOK platform allows users to instantly create emoticons by taking pictures of themselves and adding text. The 3 seconds of moving images, not pictures, can be applied with text and used as emoticons. “This morning I took picture of the crema of coffee which resembles with smiling face and wrote the text of smiling on it. And I shared it instead of emoticons to my fellows in my chatting room. If someone in my room liked it, he can reuse it. So he can write his own name on it and share it with his friends.” He said. The concept of compensating creators and users based on blockchain is a concept that the Steemit has already introduced. However, the current situation of Steemit, a pioneer of the encryption-money compensation system, is not so positive that they recently announced a plan to cut 70 percent of its employees. And criticism continues that the service itself is difficult to find quality text. This is the current status of contents service that is applied with compensation system. 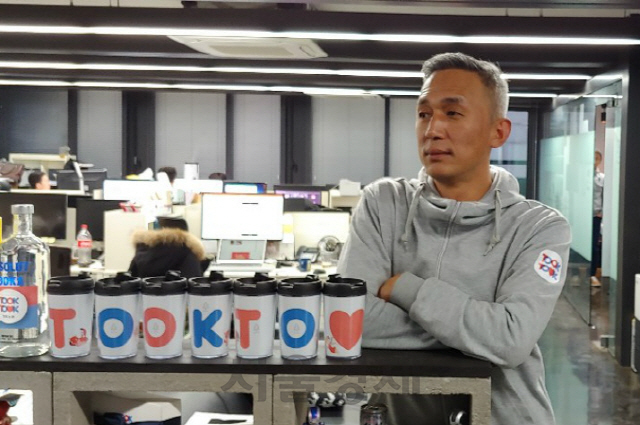 “The goal of TOOKTOOK is to create a culture of communication where users become creators and to use services that express their emotions, rather than relying on specific platforms like Kakao, Thus TOOKTOOK wants people to use the service without understanding of blockchain and cryptocurrency. As they use day by day, they come to realize that they are in the middle of the world of blockchain and cryptocurrency. “Our goal in this regard is to gain an upper hand in competition with general mobile apps that already offer a number of real-life services rather than using blockchain dApps as our competitors.” Kim said. To achieve this, TOOKTOOK is planning to provide services that can be used in various SNS channels such as KakaoTalk, Telegram, Facebook and others. Kim described this as ‘service that penetrates all social networking sites’. Kim said “Our service can people communicate without taking effort to learn the system or feeling the barrier of language. So we did not planned TOOKTOOK to be adopted just in the local market. Our target is global market. The TOOKTOOK project is set up by Media 747 ltd. Kim is also the current leader of media 747. Media 747 has secured major movie theaters and subway stations across the country as platforms and is placing advertisements. “Because we have merits of advertising powers, creativity, and marketing, we are doing advertisements through our media. In order for the users to understand us, we wrote white paper easily and produced even video white paper as well.” said CEO Kim. Now TOOKTOOK has 9 engineering developers inside. “We have released a close beta version for Android on the 24th Dec., and we are planning to release a close beta version for iOS at the end of January next year, and we are going to release a commercial version sometime during the first half of next year.” said CEO Kim.